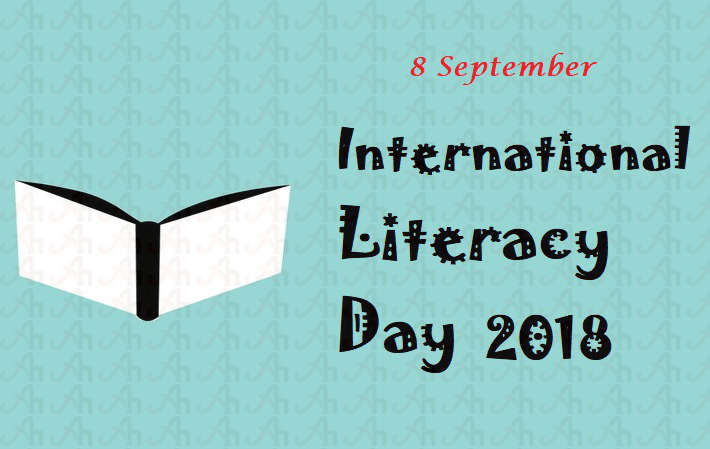 International Literacy Day is celebrated worldwide on September 8 every year. This particular day gleams the focus on global literacy requirements. UNESCO’s International Literacy Day is a great day to cherish the allure of reading and education. This day focuses on enhancing the ways and solutions that can support millions of students who require basic literacy. It has been observed continuously that these types of students are under a hefty risk of falling into the category of illiteracy because of lack of educational resources. It is the perfect time to spotlight the environments that can enhance and promote the learning among such students. In November 17, 1965 the day September 8 was observed as the International Literacy Day by United Nations Educational, Scientific and Cultural Organization (UNESCO). The first International Literacy Day was first celebrated in the year 1966. Its chief objective was to accentuate the significance of education and literacy to each and every individual around the world. This yearly celebration initiated trailing a commendation of the conference of Minister of Education on the elimination of illiteracy. That particular conference suggested that the date of commencement of conference will be observed as the International Literacy Day and will be observed worldwide annually. The International Literacy Day is celebrated with great zeal and enthusiasm every year. Each year a different theme is tagged with the celebration of this significant day. The Theme of International Literacy Day 2018 is “Literacy and Skills Development” which will be focusing on the unified techniques and approaches that helps in advancing the level of literacy and skills and enhancing the life and work of every individual. This particular day emphasizes on the skills and capabilities needed to grasp the employment opportunities which mainly comprise the technical and vocational skills etc. The United Nations Educational, Scientific and Cultural Organization (UNESCO) tend to encourage the day to accent the importance of literacy for a sturdy society, along with a persistent concentration on the epidemics and contagious diseases like, TB and malaria. Numerous countries organize activities and seminars to encourage people to participate in education and stress on problems that arise because of illiteracy such as poverty, unemployment etc. Literacy is the immensely crucial aspect for growth and development of each individual. In simpler terms we can say that literacy is the need of the hour, a person with no skills and education is considered to be a liability and burden on economy which resists the economy to grow and succeed. In order to live a smooth life a person should be educated enough to earn his basic needs and requirements. The fundamental objective and motive of celebrating the International Literacy Day is to make the people aware and cognizant about the relevancy of education and literacy. Still there are a hefty number of people who are unable to write their name despite the active commemoration of International Literacy Day each year. The effort that we all can put towards the successful comprehension of Literacy Day is to encourage the people around us, making them aware of all the positive aspects of education and learning. It is the high time to understand the importance of literacy. It is a well-known fact that an educated person can turn out to be a valuable asset for the whole economy. Literacy is the tool that can eradicate the vulnerabilities like poverty, unemployment, hunger, diseases etc. So the efforts should be made to raise the awareness and encourage people towards learning.